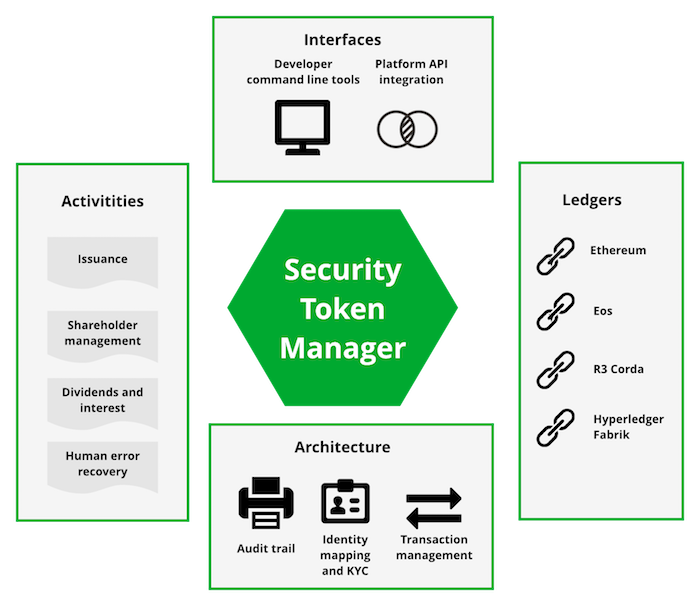 This is the documentation for Security Token Manager. This open source project provides tooling and programming interfaces to interact and integrate security tokens on Ethereum and other blockchains. Security Token Manager supports operations for security token governance. The command line tool is locally installed via Docker and available for Windows, OSX and Linux. The API is written in Python programming language.